By means of a gift annuity, the late Thelma Richards established an endowment of $52,000 in honor of her son, Norvin Richards, professor and former chair of the Department of Philosophy. The gift is named the Norvin Richards Philosophy Endowed Support Fund. The endowment earnings from this fund will be used to establish the Norvin Richards Award in Philosophy and the Law. Eligibility for the award is restricted to majors in philosophy who intend to pursue a career in law. At the outset, no more than two such awards will be made annually. Recipients will receive equal shares of that year’s endowment income.  Selection of award recipients will be made on the basis of students’ performance in four or more of the following courses: philosophy of law; philosophical issues in civil, criminal, and constitutional law; deductive logic or honors deductive logic; political philosophy; or other courses approved by the award committee. The names of the recipients will later be engraved on a commemorative plaque, which will be publicly displayed by the Department of Philosophy. Thelma Richards was born in Leigh, Nebraska, on January 18, 1913. She had two children, two grandchildren, and three great-grandchildren. She died on December 29, 2005. Norvin Richards, of Tuscaloosa, received his bachelor of arts degree in philosophy from West Virginia Wesleyan College in 1965. He received master of arts and doctor of philosophy degrees from the University of Virginia in 1967 and 1969 respectively. He was also a research student at King’s College, University of Cambridge, working under the supervision of Bernard Williams. Richards has taught at the College for 36 years.